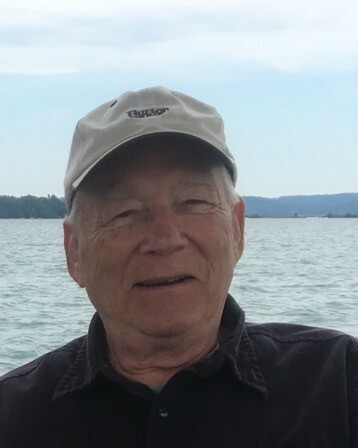 Wayne J. Foreman, age 77, of Raleigh, NC, passed away Wednesday, October 31, 2018 at his residence with his loving family at his side. Wayne was born on March 26, 1941, in Manitowoc, WI. Son of the late Norman and Mayme (Karman) Foreman. He attended local area schools and graduated with the Class of 1959 from Manitowoc Lincoln High School. Wayne also received his BBA degree in Management from Western Michigan University. On July 4, 1964 he married the former Wendy Stephens in Midland, MI. From 1974 until 2001, Wayne lived in Bethel, CT then moving to Sun Lakes AZ in 2001 and his second home in Wake Forest in 2002. He was employed at Kraft Foods in White Plains, NY as a purchasing manager for 32 years until his retirement. Wayne was a member of the Jaycees and the National Management Association. He received the General Foods Chairman’s Award plus numerous purchasing awards for outstanding achievement. Wayne conducted several management development studies that were published in major personnel journals and newsletters. He enjoyed golfing, traveling and especially spending time with his family. Survivors include his wife of 54 years: Wendy Foreman, Raleigh, NC; his three children: Lesa M. (Michael) Bredenberg, Raleigh, NC; Scott D. Foreman, Norfolk, VA; Lori M. (George) Paddleford, Mesa, AZ; one grandchild: Kayla A. Bredenberg; two sisters and one brother-in-law: Mardell Johnson, Greenfield, WI; Marlene (Steve) Hodgdon, Weston, WI, nieces, nephews, other relatives and friends also survive. He was preceded in death by his parents: Norman and Mayme Foreman. A local Memorial service will be held at 2:00 pm on Sunday, November 18, 2018 at St. Andrews Presbyterian Church on Falls of Neuse Rd, Raleigh. In lieu of flowers donations may be made to Duke Cancer Research in Durham, NC.